Very gritty, I love it! What a weird style of pixel art. I love it! Any chance of more sets like this? Like, a fantasy set? It's just that the set is so unique and I love it. Nice work. Might want to try these for the upcoming 7DRL. Will credit if it works out. 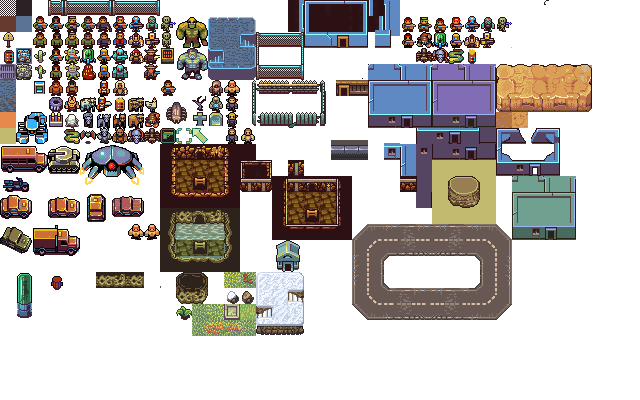 its actually started out as fantasy tileset, but i decided to retool it because of oversaturation in fantasy tileset market. Oh. Good idea then not to create a fantasy tile set. 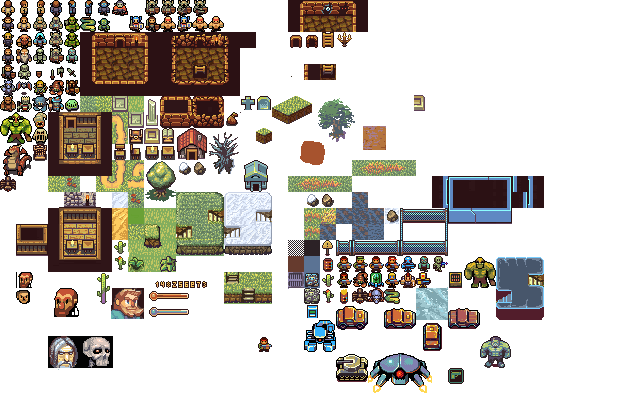 Do you still have the original fantasy tile set that you retooled so that you could upload it? that's a really nice fantasy set too! You should post it as it's own submission! Do you have any more sets like this that you could upload? Used this in my Mini LD game, and it worked out great! Thanks for sharing this unique work. Could we use the fantasy set in our games? If so, what license? its same license as this. 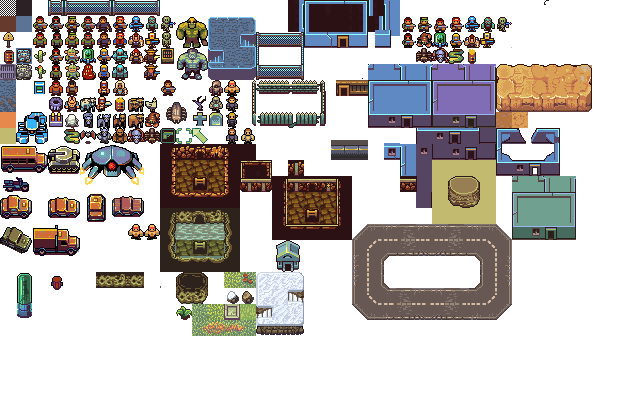 I went with a different resolution than your sprite sheet, so there's just a smidge of your art remaining on the road tiles, but I credited you on the page of my 7-Day Roguelike Challenge entry. Enjoy! 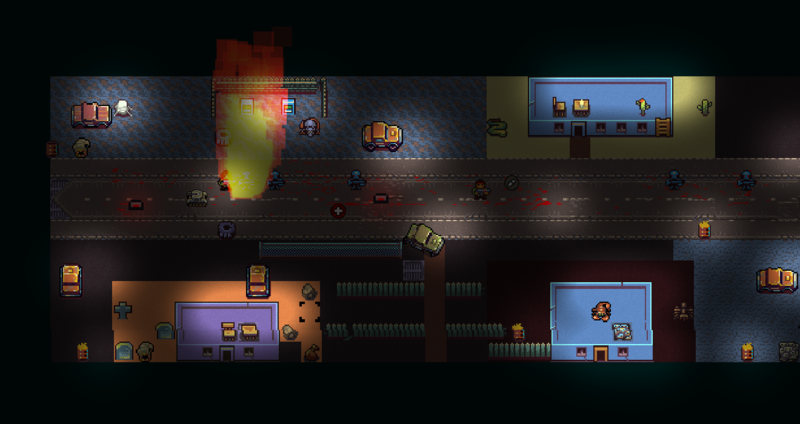 thats a really cool game idea and implementation! I expanded this set a bit for 7DRL, but never finished. I just got around to posting this here.